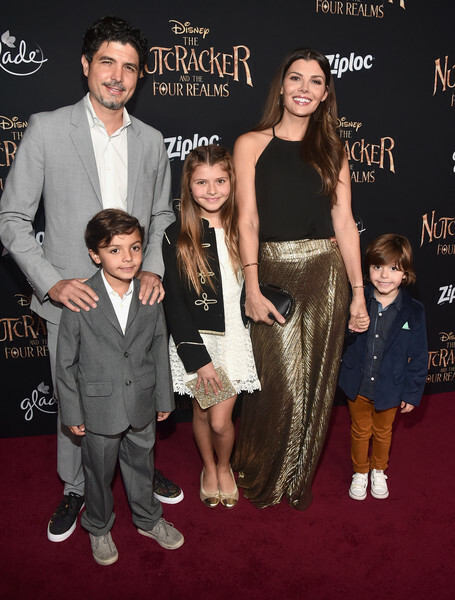 (L-R) Marcelo Alejandro Monteverde, Alejandro Gomez Monteverde, Estela Ines Monteverde, Ali Landry and Valentin Francesco Monteverde arrive at the world premiere of Disney's "The Nutcracker and the Four Realms" October 29th at Hollywood's El Capitan Theatre. MackenzieFoy, Morgan Freeman, Misty Copeland, Jayden Fowora Knight, Jack Whitehall and Lil Buck, as well as filmmakers Lasse Hallstrom (director), Joe Johnston (director) and Mark Gordon (producer) were in attendance. October 29th, 2018.